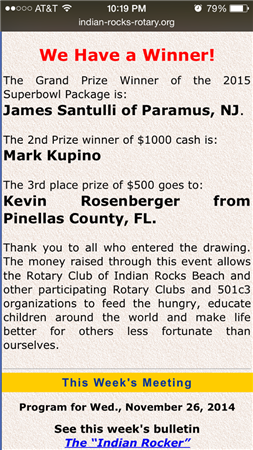 Welcome to the website for the Rotary eClub of District 7505, NJ USA! Being a member of Rotary International is something to be proud of. Your membership helps support the eradication of polio worldwide, the provision of clean water supplies in emerging countries, and tons of locally driven initiatives. Being a member of our eClub allows you access to this network, while reducing the cost and time commitment that can be a huge barrier. We meet every other week via video/audio conference calls on a weeknight most accommodating to members. Our dues are $205 a year and can be split into smaller chunks for a nominal charge. We run one large fundraiser per year - the Big Game Raffle - splitting the proceeds of a raffle for Super Bowl tickets with a partnering Rotary club. We send the most students each year to the Rotary Youth Leadership Awards program of District 7505 North. Join us for a meeting and get to know what we're all about. 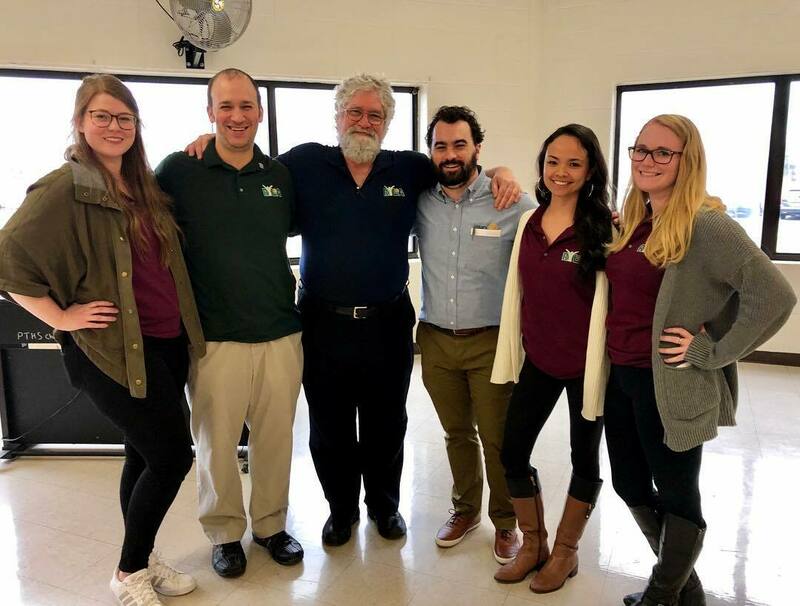 We're an inclusive club with members from 21 to 81 years of age with backgrounds ranging from medical students to professional consultants to teachers and retired advertising executives. 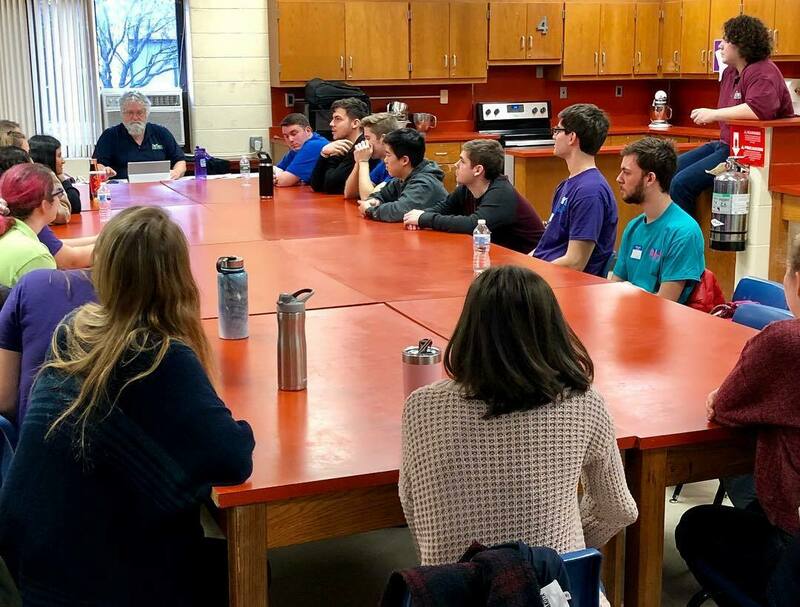 The RYLA North Committee is composed solely of dedicated members of our eClub, which is something we are very proud of. around the world improve their RYLA programs. We support service projects of all kinds, but our special emphasis is on Youth Education - supporting the young people of today whom will soon be running the show. We provide leadership training, scholarships, mentoring and other support to help them get ready. Our friends from Rybinsk, Russia, which consist of 10 teenagers, including the 4 last year speakers, 4 exchange students (Italy, France and Japan), along with a few other interested high-school students from Russia are hosting a peace talk on January 24, 2015 at 10 am est. The proposed topic is "International communication as a way to reach world's peace”. Please join us via google hangout. Joint Coat Drive a Great Success! The holidays will be a bit warmer for members of the Burlington County Community thanks to a join coat drive sponsored by the eClub and Marlton club. Three car loads of warm coats were delivered to the Family Success Center in Mt. Holly on Monday, December 15th. Congratulations to all who participated in this year's Super Bowl Raffle. We are pleased to announce the 2014 Winners. Any money donated to Rotary eClub 7500 goes directly to fund community service activities both locally and across the world. If you are a Rotarian, you can make-up missed meetings here - it's easy and enjoyable! You can pick from a wide variety of interesting topics, view a great presentation and get back to work quickly - or go do something else. AFTER you view the program, click: "Get Credit for your Make Up". You'll be able to leave comments about the program and a donation to help us support our valuable work with Rotary Youth programs. We support EarlyAct, Interact, RotarAct, Youth Exchange, College Scholarships and RYLA - Rotary Youth Leadership Academy. RI President Gary C.K. Huang chose Light Up Rotary as his theme for 2014-15. Huang is urging club members to Light Up Rotary by hosting a Rotary Day in their community, continuing our fight against polio, and increasing club membership. 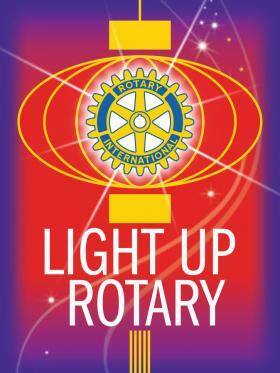 "Light Up Rotary is more than our theme. It is how we make a difference — every day, in every club, and every country we serve."